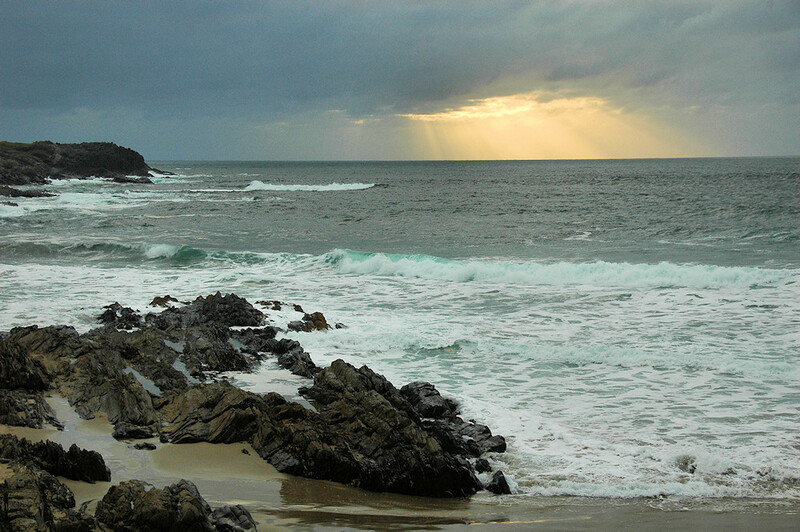 A view in Saligo Bay in October 2009 on a cloudy day on Islay, a glimpse of the Sun on the horizon where it breaks through the clouds. This entry was posted in Beaches, Cloudy Weather, Landscape, Repost and tagged Islay, Rhinns of Islay, Saligo Bay by Armin Grewe. Bookmark the permalink.